A great alternative Boys World War II Evacuee fancy dress costume. 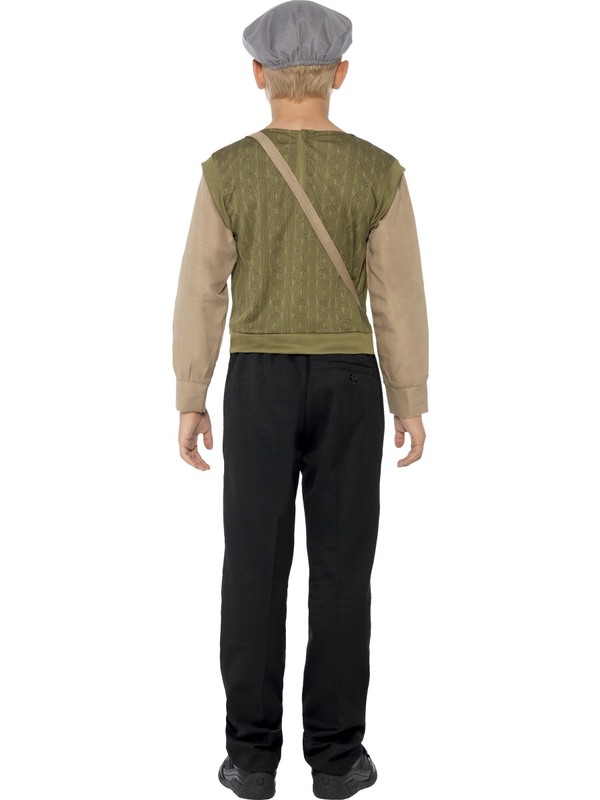 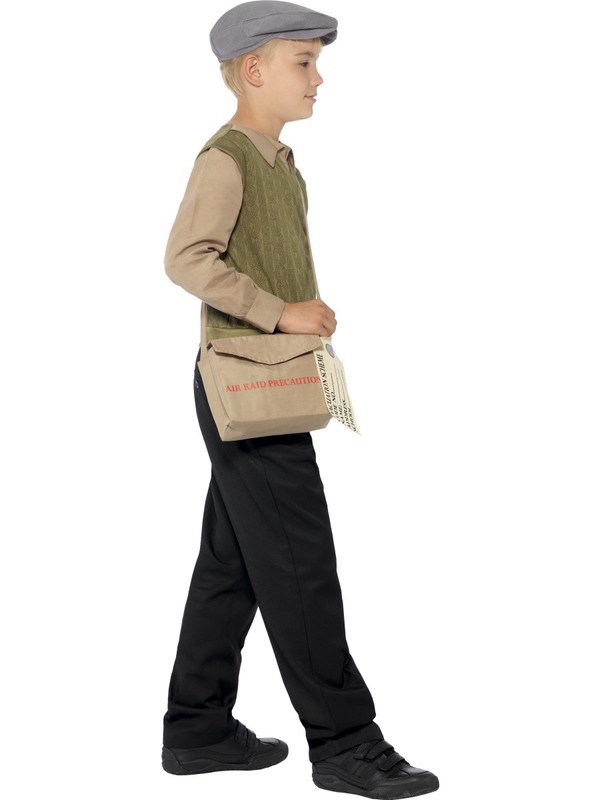 This realistic costume, includes jumper and attached shirt plus, cap and evacuee bag. 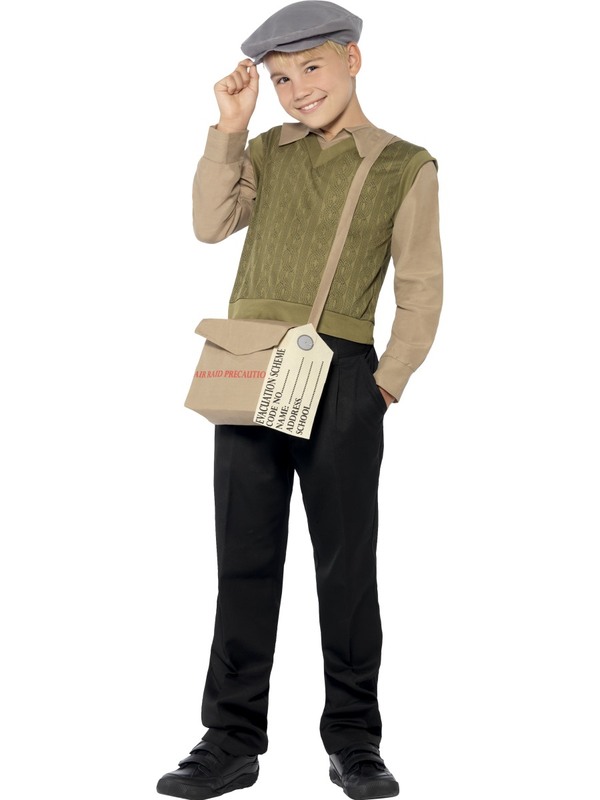 Brilliant for school World War II projects and themes and for school remembrance trips.